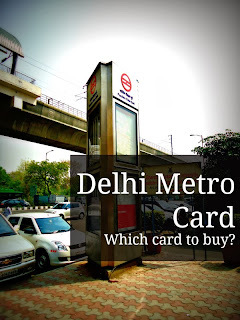 Delhi Metro Smart Cards-Which one to buy? 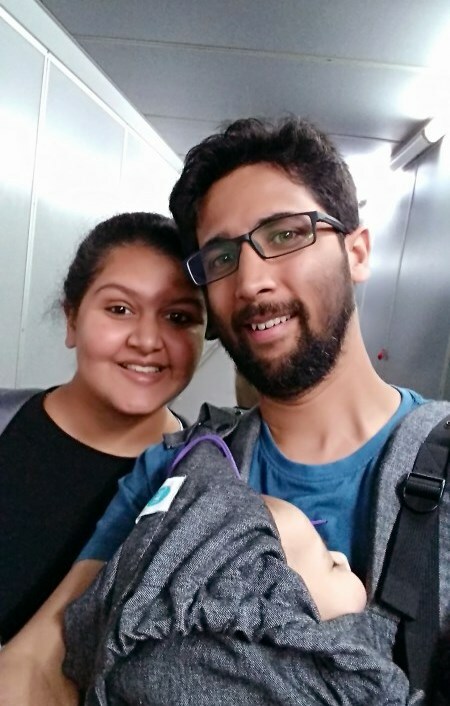 Delhi is usually the city most travelers enter India from. Many plan to spend at-least a day in the city. Local city travel can really add to your costs if you move around in a taxi. Public buses on the other hand are a slave to peak hour traffic. I have had to sit in a city bus in Delhi for over an hour due to a VIP conclave passing through. The journey was supposed to be half an hour. Rapid transport systems with their own right of way are what all of us desire be it trains, subway or BRTS. Delhi has all of these and the mode which has expanded way beyond what the planners had imagined is the metro. Unless there is a mishap or a rare breakdown you can be sure to reach green park from Noida in an hour. I did that for months when I was working in Delhi. You probably aren't forced to be facing the peak hour rush but from 6 in the morning you can use the metro to get around the city. We all know what passes are for, I guess . They are meant for frequent users of a service. These reduce time and hassle before you use the service as they excuse you from lines and tickets. Passes become very important for a daily commuter but they are far more important for us travelers who wish to visit corners of a city. Euro rail passes have been discussed a lot and city passes are a proven way to see city attractions for a much cheaper price. Just like the city buses which have front seats reserved for 'ladies' the first car of the train is reserved for females. Unless its peak hour you will probably find a seat here, guys no such luck in other compartments. Females can enter other cars apart from the one reserved for them. Ticket lines can get really long on many major stations and the best way to avoid standing in long lines is to get a smart card or Delhi metro pass. There are basically two kind of cards both of which require you to submit a safety deposit of Rs 50 which is refundable. 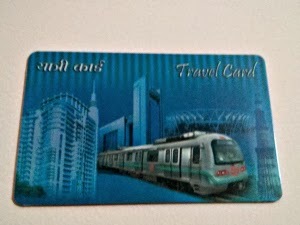 Travel Card is meant for frequent travelers. This card can be bought with a minimum of Rs 100 which includes the security deposit. 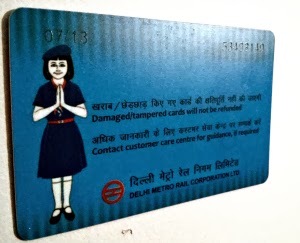 This card can be topped up to Rs 100. The y are valid for one year from last use. Tourist card as the name suggests is for the tourists and gives you unlimited rides in a day. Charges are 150 for a day and 300 for three days. These also include the security deposit. The biggest reason apart form not standing in ticket lines is the 10% discount you get on fare while traveling with a smart card. As you can use anybody's card it doesn't matter which one of us picks up which card. In case one of your local friends already has a spare card you should not have to buy one. You will need a card for every traveler children below 3'can travel for free. Now for the real question which card should you buy. Many would suggest you buy the tourist card for three days and enjoy unlimited rides. I suspect you are not visiting Delhi to sit in a metro car. Unless you are actually going to see all corners of the city in three days you will be wasting money. I would always suggest you buy the regular travel card and top it up with Rs 100 usable balance. An itinerary I have been working on resulted in Rs 59 spent on metro travel in a day while visiting Qutub Minar, Red fort and India Gate. If you are actually going to be visiting more or aim to see most of the sites of the city in a day you might want to look into Delhi darshan or HOHO buses which will take you directly to the monuments and other attractions.